I know people who have lived in the Adirondacks their entire lives and have never seen a bobcat. I also know people who have caught fleeting glimpses of the creature while going about their business. Just the other day, a friend was telling me about the bobcat he saw while driving home from work along Adirondack Loj Road in the High Peaks. It was winter, and he came around a bend to find the animal hunched over in the middle of the road. It quickly moved as his vehicle approached, and it was gone as suddenly as it appeared. He's spent his life working in the woods, and only has one bobcat to show for it. Bobcats are graceful, stocky, magnificent animals. The closest I've come to seeing one in the wild was on Little Crow Mountain. I had rounded the summit and was descending the other side, heading toward Big Crow, when the snowsoe hare tracks I was following suddenly ended in disrupted snow and spots of blood. A distinct set of large feline tracks approached and left the scene. Chances are, you won't catch a glimpse of a bobcat in the woods here no matter how many hikes you go on. I know a secret, though. 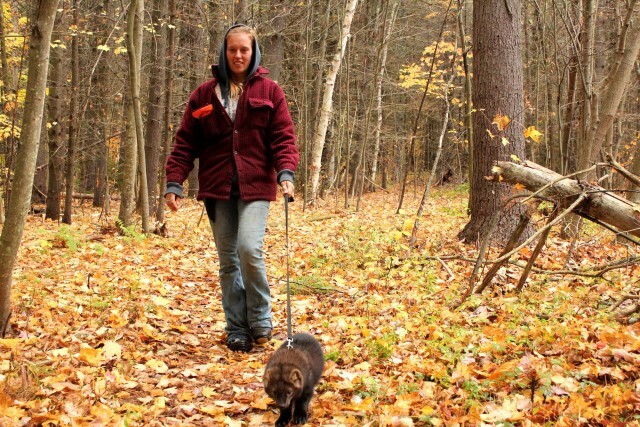 If you want to find a bobcat in the Adirondacks, you need look no further than the Wilmington Wildlife Refuge, on Springfield Road in WIlmington. But just because they have a bobcat doesn't mean you'll see it. I visited the refuge a few weeks ago with my wife and her family, and the resident bobcat was out and on the move. It circled the inside of its enclosure and leapt from the ground to the platform and back. But when I visited last week, the bobcat was nestled in its little shelter, completely obscured from view. That's too bad, but there are a lot of other Adirondack animals to see at the refuge, and most of them were not feeling shy the day I visited. The only exception was Shmendrake the porcupine, a personal favorite of mine who is usually curled up in his little house. His nearby neighbors, the turkey vultures, were particularly mobile, though, and I stood and watched them hopping from branch to branch for awhile. The snowy, barred, and great-horned owls were also out. 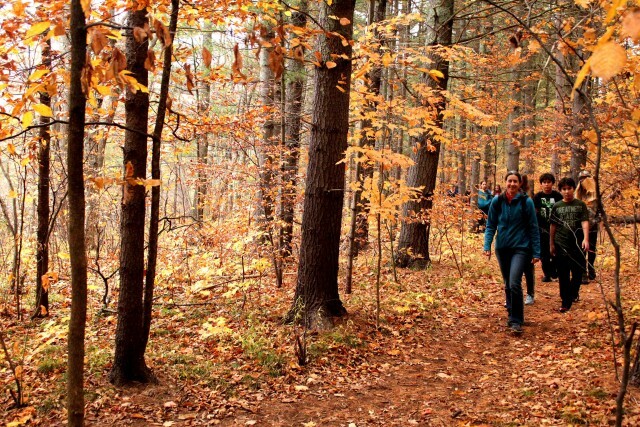 The Adirondack WIldlife Refuge is open to the public, but it's not a zoo. 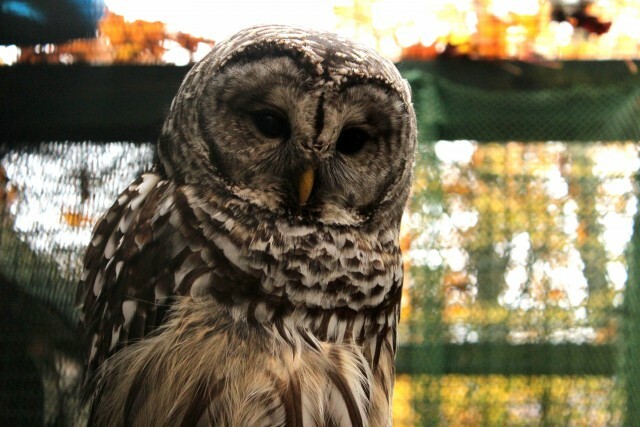 The staff there takes in animals with the intention of releasing them back into the wild. 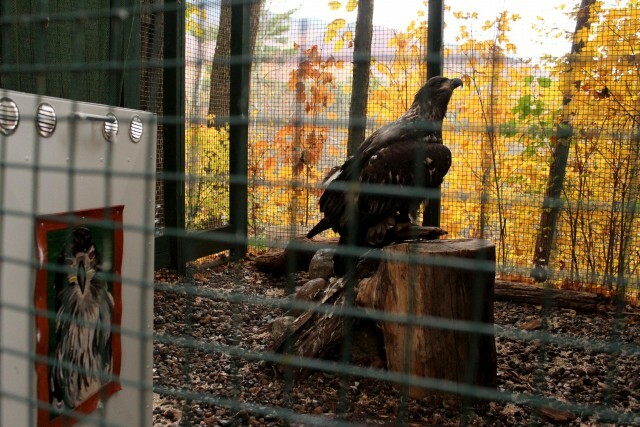 Sadly, some animals, like the young bald eagle whose wing was ruined by a bullet, would never survive if released. 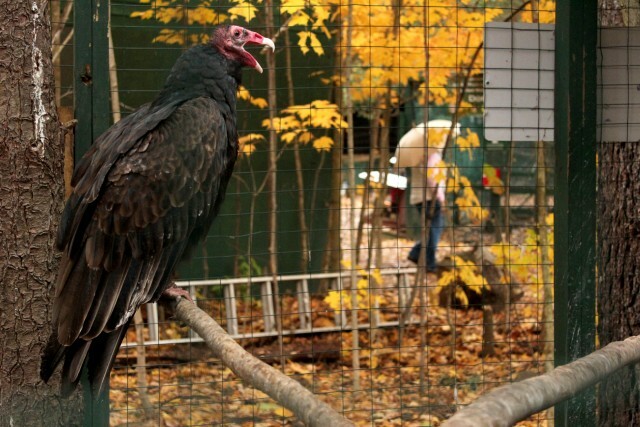 In cases like that, the animal is kept at the refuge, where it is used for educational purposes. You can read more about their healing and educational efforts here. When you arrive you'll be greeted by some of the refuge's most prolific denizens, the wolves. Their brethern no longer inhabit Adirondack forests, but this pack now resides in a large enclosure that's near the parking area. From there you'll walk past the coyote pen and down a new path to the rest of the refuge. While you're there, be sure to talk to the staff to learn the story behind why each animal is there. A word of warning: Most of the tales are heartbreaking, but the bright side is they can teach us a lot about how we interact with the environment and the animals that live there. And speaking of interacting with the environment, there is now a network of trails on the refuge's property. 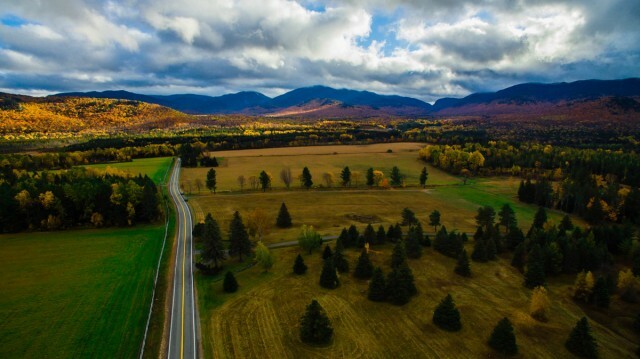 My favorite follows the shore of the Ausable River, affording stunning views of Whiteface Mountain before it plunges into a grove of ironwood trees that's right out of a fantasy story. The trees, which are uncommon in the Whiteface region, grow with several smooth, gray trunks emanating from the same point on the ground. They make for a mysterious looking, open forest with a low canopy that's fun to walk through. Maps and interpretive signs are scattered throughout the trail network, so it's difficult to get lost but easy to learn as you enjoy the woods. That doesn't mean there aren't any surprises, though. I rounded a bend to find one of the refuge's staff members walking Wobbles, a fisher with a brain disease that causes it to have poor balance. Although he'll never function like a healthy fisher, Wobbles' daily walks do help improve his balance. The Wilmington Wildlife Refuge is close to plenty of hiking and dining opportunities. Be sure to make a full day out of it!